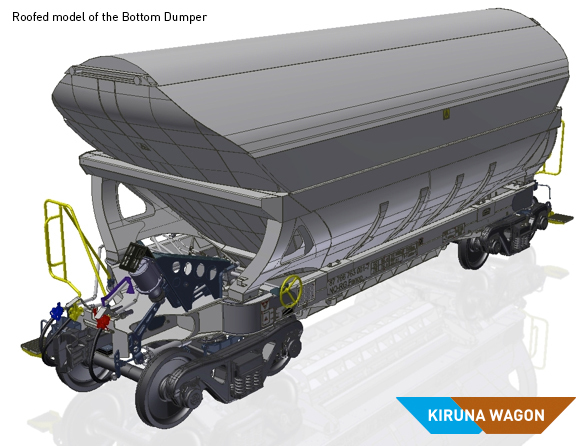 Our robust Bottom Dumper (BD) offers a proven system for high-capacity continuous unloading. The new-generation Bottom Dumper is a strong feature of our product portfolio for modular standardised products. The BD is an 8-axle wagon made up of a master wagon and a slave wagon. The wagon is suitable for pellets, rock and other easily unloaded commodities and designed for high-capacity continuous bottom discharge. The construction, which is a remarkable combination of robust bottom door function and low tare, is based on more than 100 years of experience in rail ore transport and steel refinement. Fast loading and unloading are key features of the BD wagon. The bottom of the wagon consists of two large hatches that open entirely during discharge. Emphasis has been placed on the angle of repose, to optimise the centre of gravity and achieve a complete emptying. 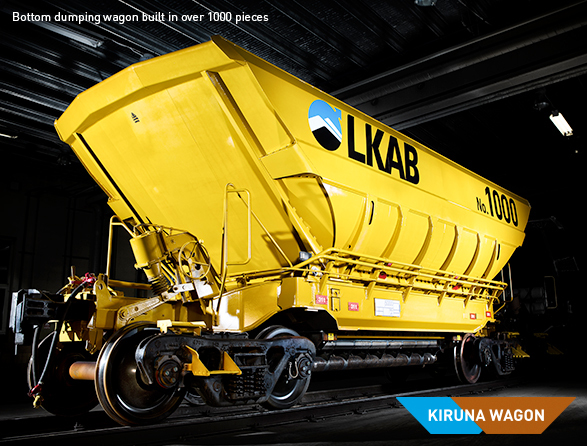 The wagon is designed for rolling discharge and has a discharge capacity of up to 20,000 tonnes per hour. 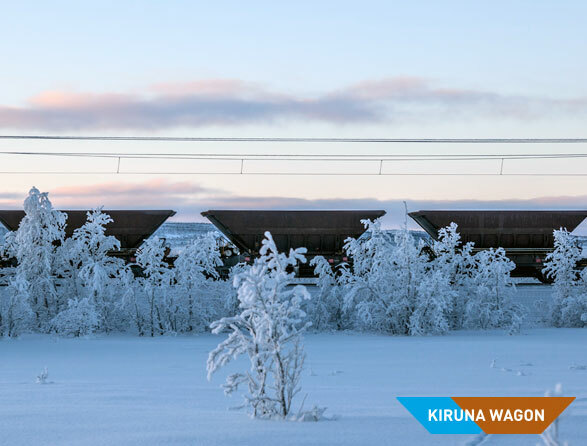 The solution and its components are tested and proven in a demanding subarctic climate; the BD wagon is currently in traffic in the Arctic regions of Sweden and Norway. By using ultra high-strength hot-rolled steel with a lowest yield point of 650 MPa in the body we have minimised the tare weight and developed a more efficient and environmentally friendly ore transport. The wagon body is built like a boat hull where a supporting frame distributes the forces downward from the load to the chassis. Advanced techniques, such as laser hybrid welding and laser cutting, have been used in the manufacturing process to produce durable seams and minimise the heat effects on the steel. The BD unloading station is a low-cost solution designed to provide a reliable service in temperatures ranging from −40 to +60 °C. The Bottom Dumper has a modular design which means that damaged parts can be quickly replaced. A goal of our maintenance concept is that two people should be able to exchange any of the wagon components within two hours, with exception for the chassis. 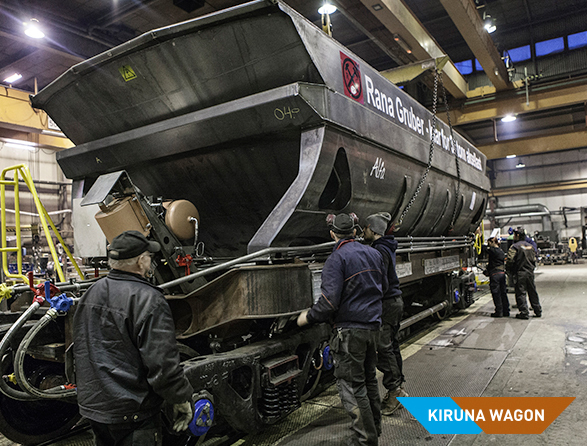 Since 2005, Kiruna Wagon has delivered more than 1000 units of Bottom Dumpers to LKAB. The Bottom Dumper Fammoorr050 transports iron ore from the LKAB Kiruna Mine in Sweden to the Port of Narvik in Norway. 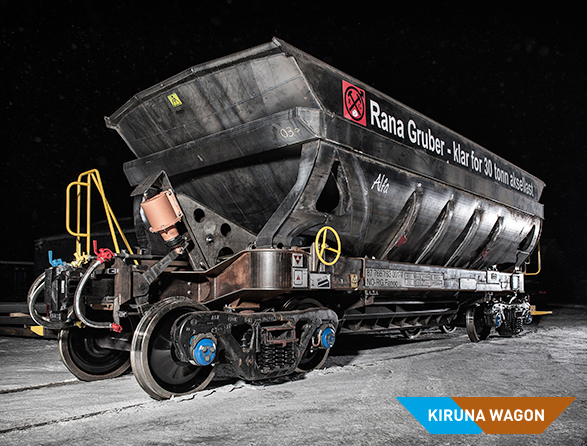 In 2014, Kiruna Wagon was commissioned to manufacture 40 Bottom Dumpers for the Norwegian mining company Rana Gruber AS. 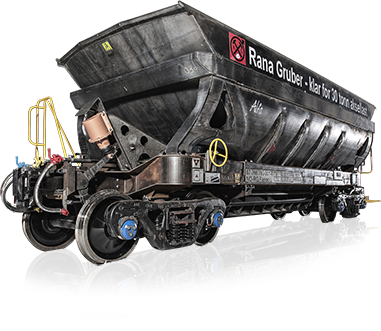 The NO-RG Fanoo, which is built for a 30-tonne axle load, is a further development of LKAB’s Fammoorr050 and designed to deliver low tare weight and high payload advantage. 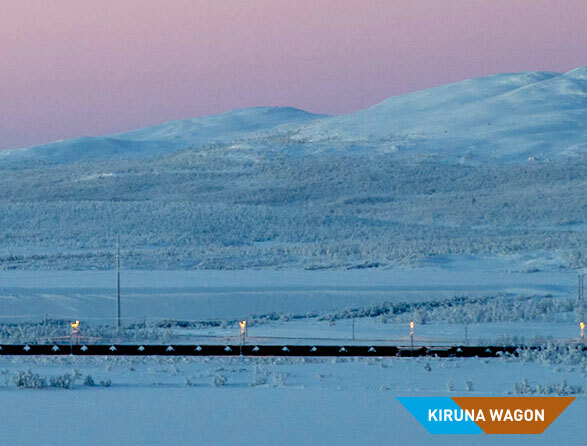 At Kiruna Wagon, we consider average annual wagon speed (AAWS) to be one of the most important key performance indicators. 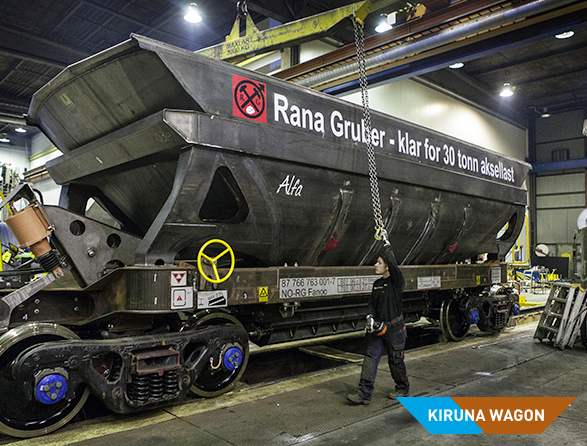 The BD wagons built for LKAB moves at 17.5 km/h and our new-generation BD wagons for Rana Gruber at 25.7 km/h. You are welcome to download our AAWS excel sheet and compare our numbers with those of your own fleet.